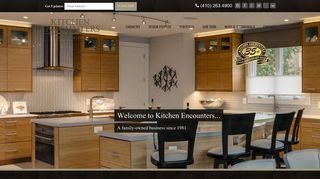 Kitchen Encounters – Mark T. White, CKD, and team, offer award winning design services and cabinetry showroom in Annapolis, Maryland. Portfolio. – Mark T. White, CKD, and team, offer award winning design services and cabinetry showroom in Annapolis, Maryland. Portfolio.